Have you applied for TGC 117 course of Indian Army and looking for Allahabad SSB interview dates? Army has uploaded interview dates of Technical Graduate Course 117 today on its official website. Check out SSB interview dates of TGC 117 course. Indian Army recruits best engineers of India through its Technical Graduate Course every year. Recently notification for TGC 117 course was released by Indian Army. Officials have shortlisted candidates for conducting SSB interviews. Already Indian Army has published SSB dates of Bhopal centre and Bangalore SSB centre earlier in this month for TGC course. Only Allahabad SSB centre's interview dates were to be announced till now. So all candidates whose name was not in Bhopal and Bangalore centre list were eagerly waiting for the Allahabad SSB dates. 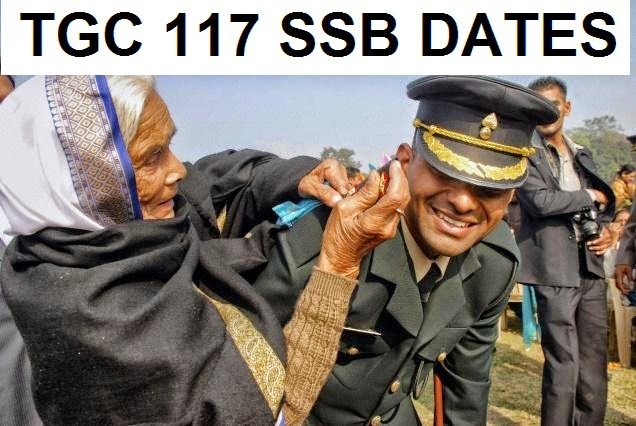 Indian Army has officially uploaded Allahabad SSB dates of TGC - 117 course today. There are total 14841 names of shortlisted candidates in Allahabad centre list. TGC 117 Allahabad SSB interviews will start from 09th May 13 onward. Last date of SSB interview at Indian Army Allahabad SSB centre is 20 May 2013. Those candidates who are unable to attend SSB interview in specified date may appear on 20 May 2013. Check out TGC - 117 Allahabad SSB Interview date list here. Candidates who are to give their SSB interview in Allahabad's centre are to report to MCO office located at first platform of Allahabad Railway station or may report at Selection Centre East Allahabad directly at 06:00 AM early in the morning. From the MCO, candidates will be routed by Indian Army officials.